Last March, Mum hit a major milestone – the big six zero. Crikey, where did the time go!? To say thank you for being such an awesome mother, all the siblings decided to get their clans together and surprise Mum to a short but sweet family holiday. Big problem, where could we go that would have lovely weather, family friendly (5 kids under 5), and not too far away? Not Dubai, we’ve done that a hundred times and it seemed like other familiar destinations were just too cold. 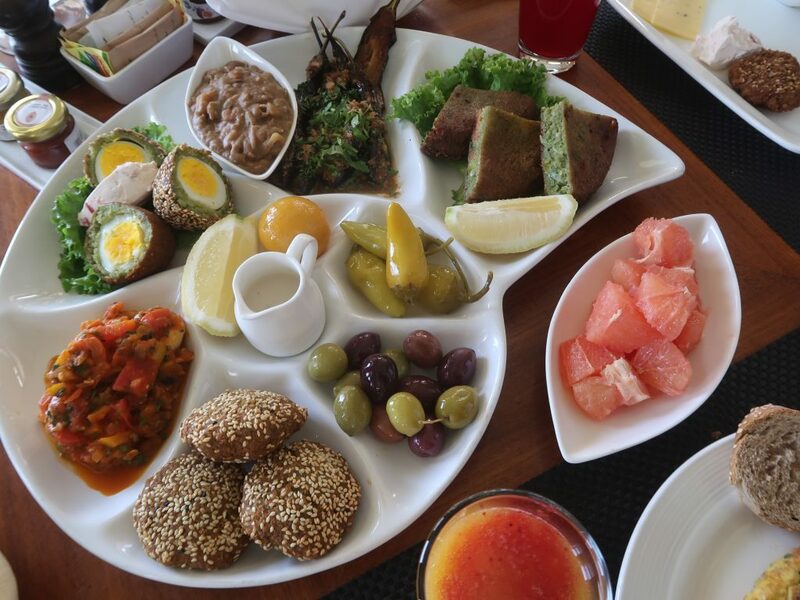 Finally, sister ZW came up with the perfect idea of Hurghada, a beach city in Egypt. 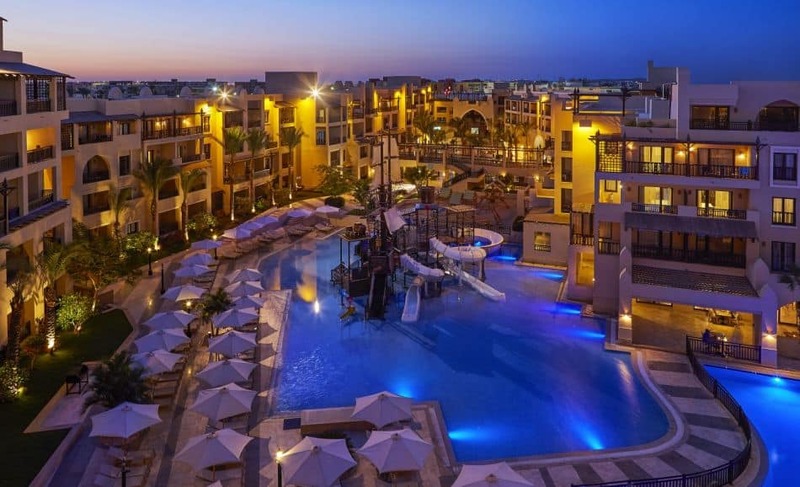 Hurghada has not had the best of reputation due to terrorist attacks and political unrest a while ago, and is generally avoided by tourists. However, I felt just as safe as I would at home and would happily return back with Aadam. 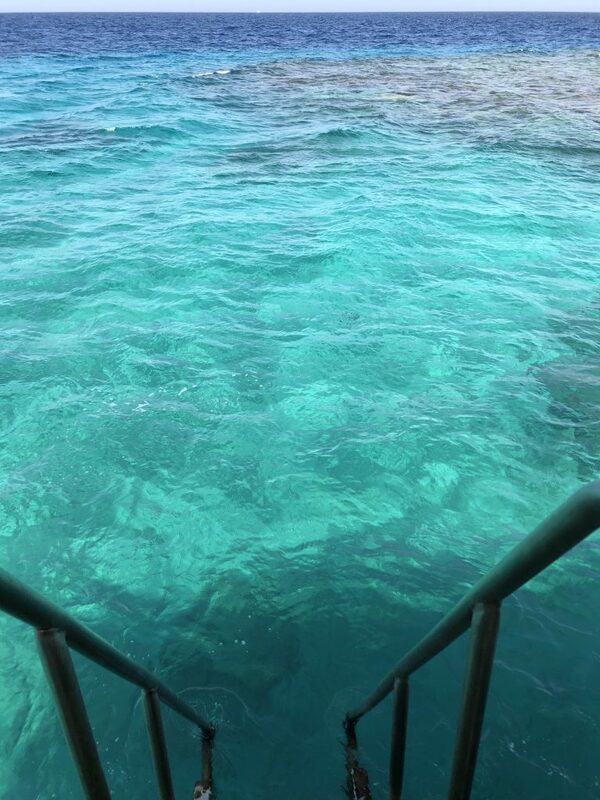 Plus the waters are simply gorgeous; completely crystal clear and calm. 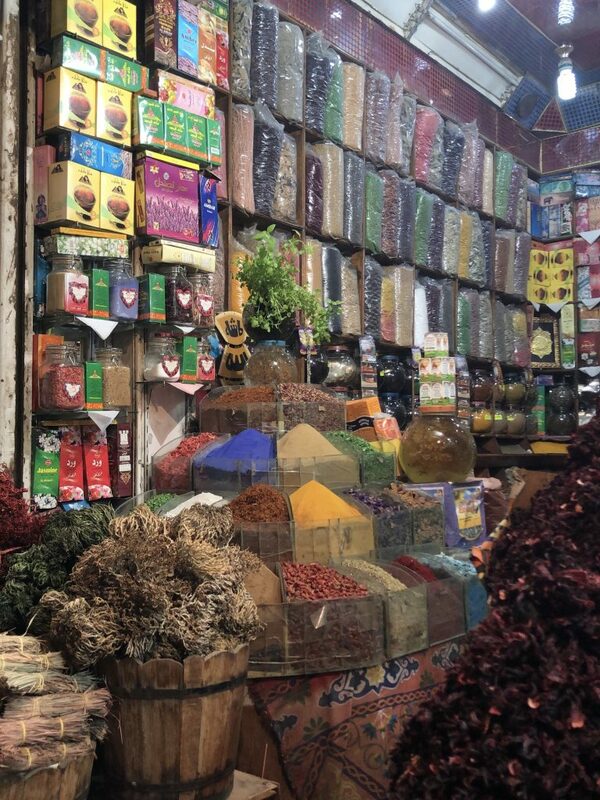 Enough chit chat, here is my halal travel guide to Hurghada, Egypt. 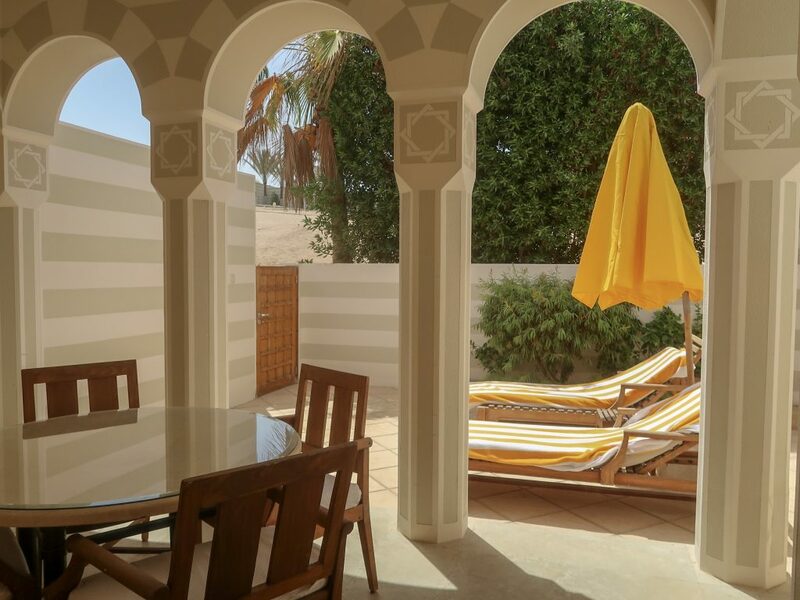 We all hopped on a Thomas Cook flight from London Gatwick to Hurghada International airport and landed in sunny but windy Hurgahda 4 hours later. Having squeezed into two cabs, we endured a bumpy but short journey to our hotel. As we had 5 kids with us, all under the age of 5, the only way to keep them entertained was swimming pools, water slides, and a kids club. We decided to stay at the Steigenberger Aqua Magic Hotel, an all inclusive resort ideal for kids. Unfortunately, I found my stay here to be very average thanks to the shoddy service and overcrowding. 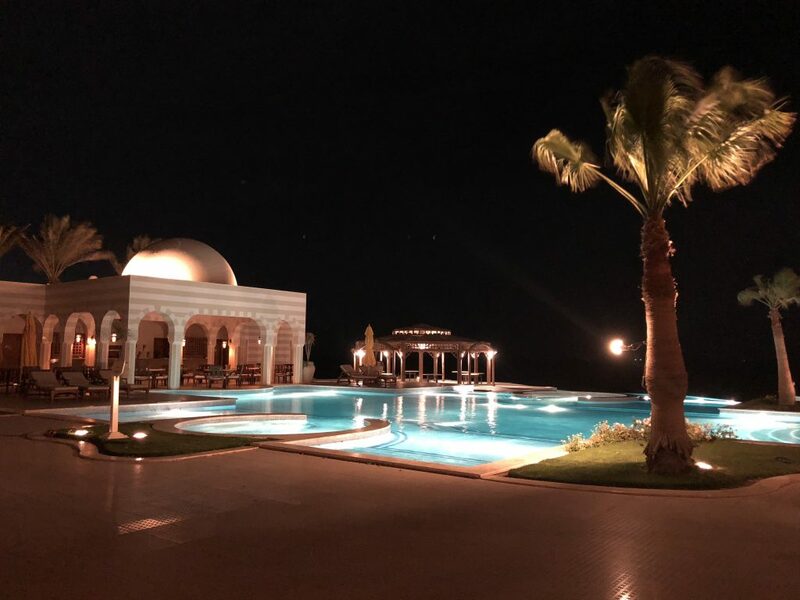 After a fun-filled few days, my family left to go home (how sad) so BW and I started our babymoon and moved on to The Oberoi Sahl Hasheesh. 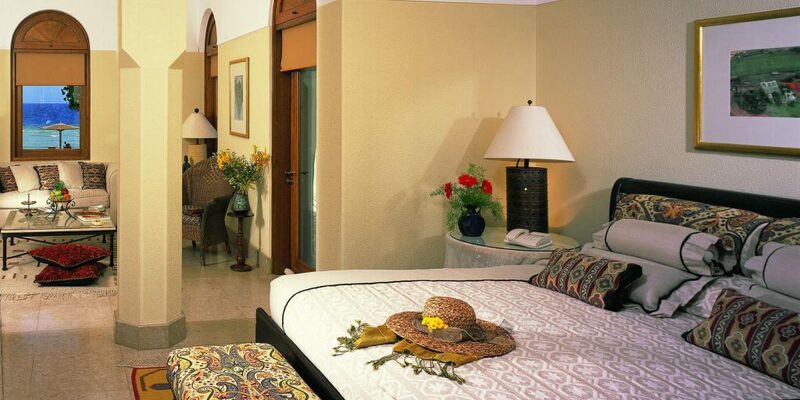 The Oberoi has been around for 16 years and prides itself on being the best hotel in Hurghada. 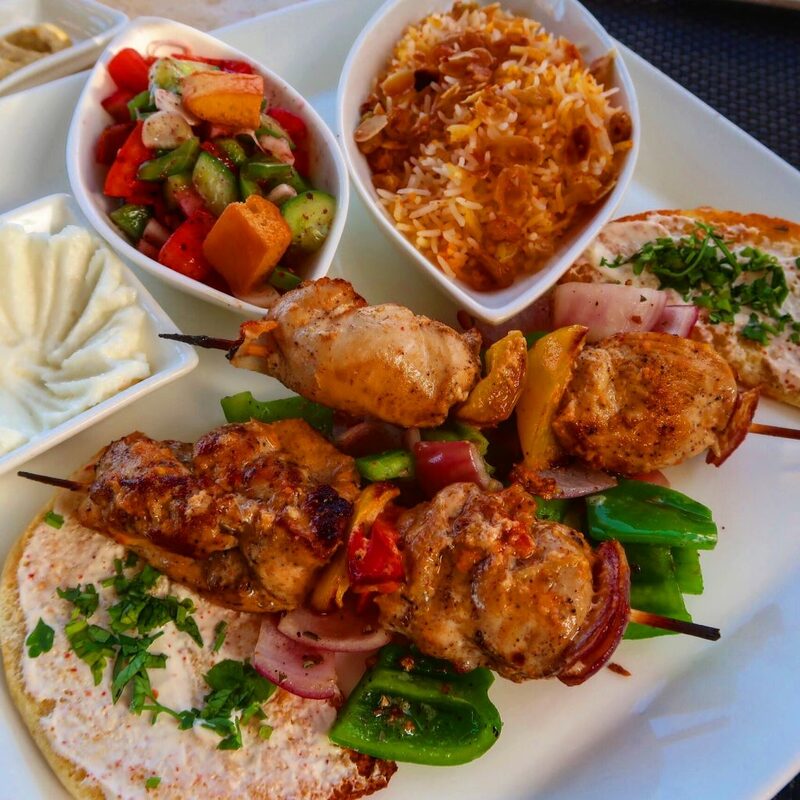 The service is exceptionally good, with the staff going out of their way to cater for your every need, as well as the chefs making you any dish you request. BW had booked the Superior Deluxe Suite for our few nights there and it was just perfect. A humongous bed that you could sink into (what is it with hotel beds being amazing!? 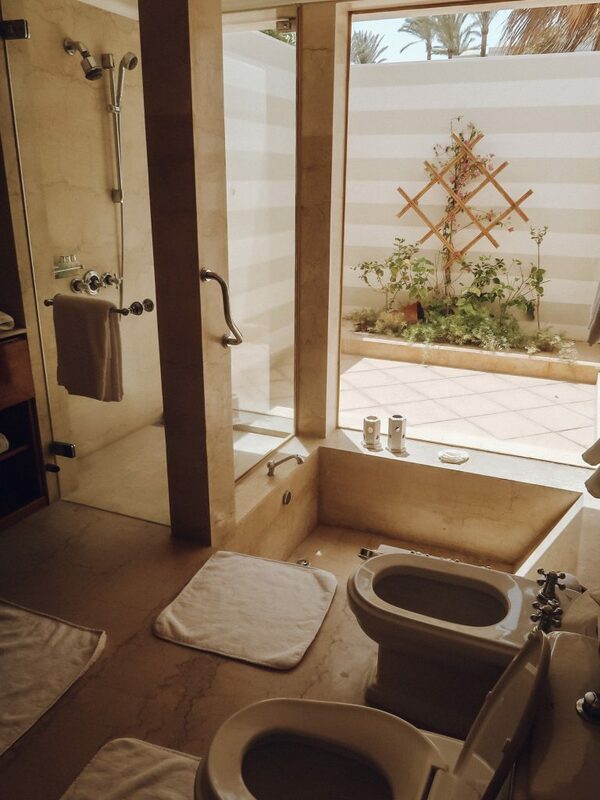 ), big bathroom, and a quaint living room, all just steps away from the beach. Sadly, this is not the kind of beach where you jump right into the water due to the rocks but the staff are willing to show you the best spots for snorkelling! It is a small town, thats for sure, but it is great to see how much the town has changed over time and will hopefully continue to do so. 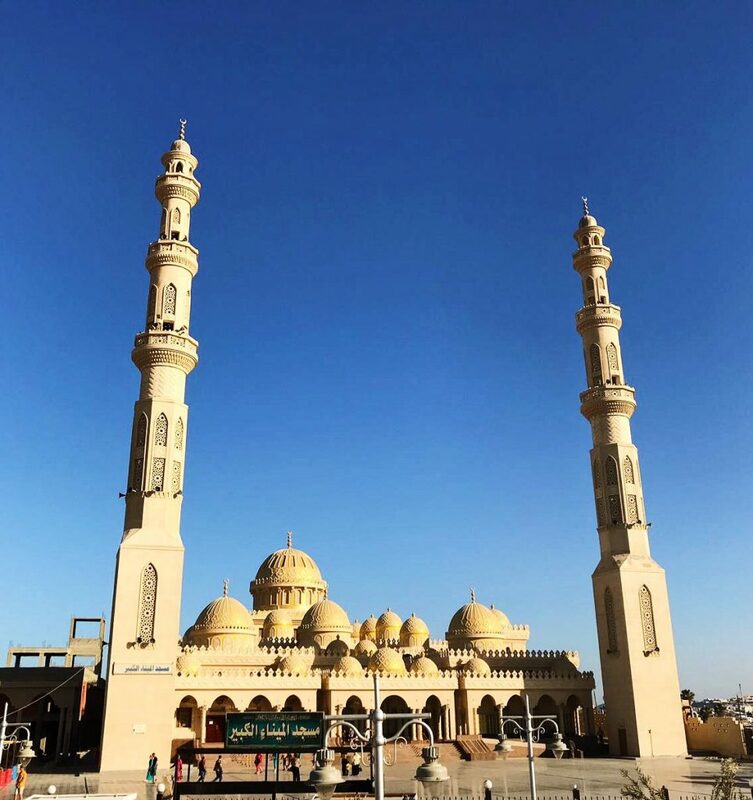 A humongous 4000 square foot mosque that is just stunning on both the inside and out – perfect for Friday prayers. 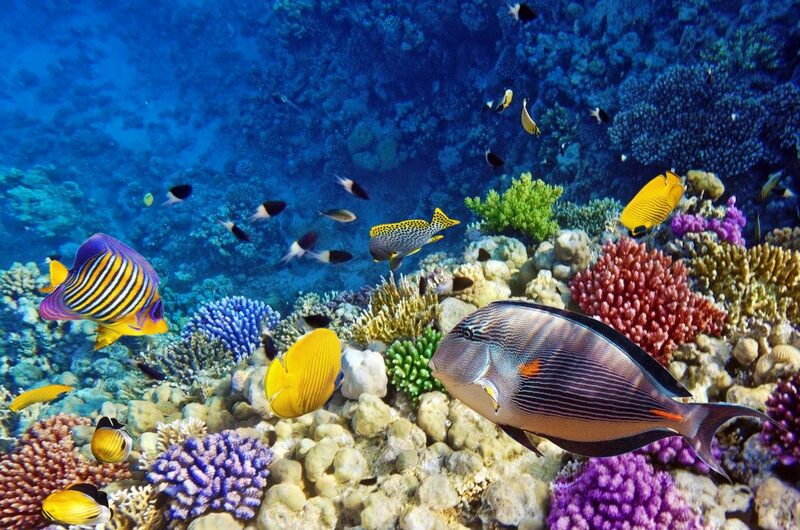 The Red Sea is known to have one of the most beautiful corals to discover, and avid divers fly out to Egypt just to explore the waters. On one of the family days, BW and my BIL went scuba diving and I was seething with jealousy that I could not join them. Gah. Thankfully, BW organised for us to go snorkelling whilst staying at The Oberoi where the lifeguard showed us all the hot spots. 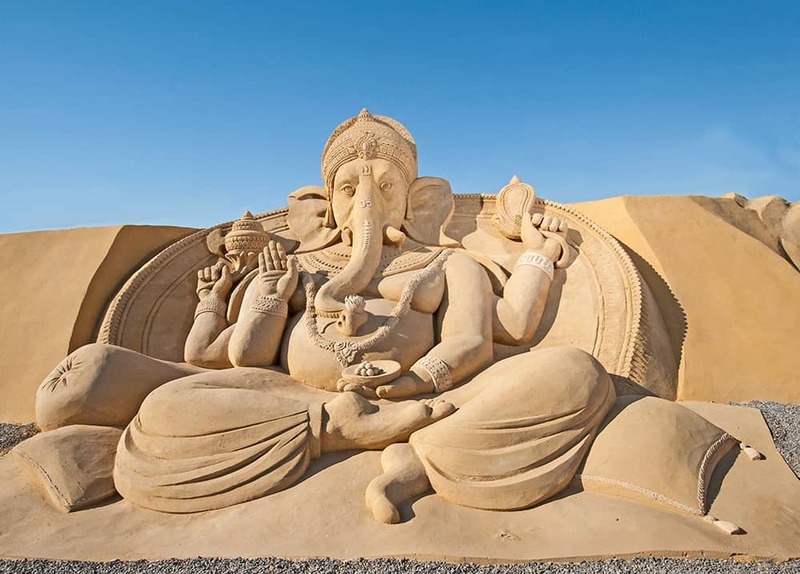 A large outdoor museum showcasing large sand sculptures based on pop culture and history. I’m so gutted I wasn’t able to make the trip to Luxor, but waking up at 5:30am and undertaking a 4 hour bumpy drive and being heavily pregnant was not really my idea of relaxing. 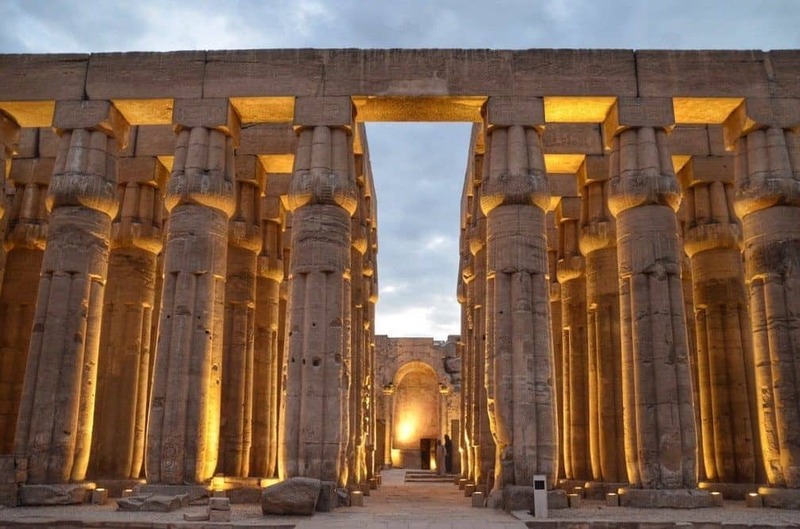 If you decide to go, you have to visit the Luxor temple and museum, Valley of the Kings, and the Temple of Karnak. 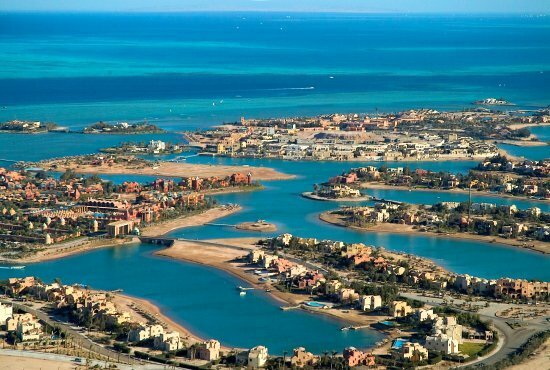 El Gouna is perhaps the Monaco of Hurghada. 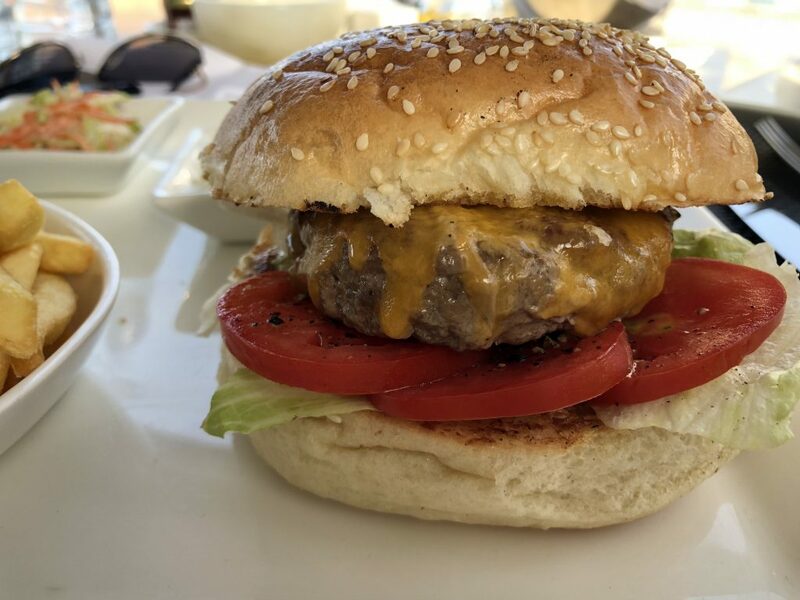 Lined with yachts and holiday homes, the expats flock here for a slice of paradise and good food too. 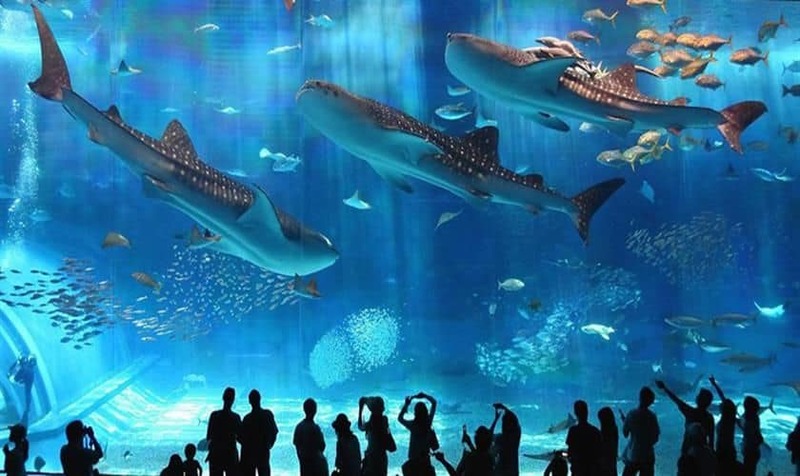 It is approximately 45 minutes away from Hurghada. 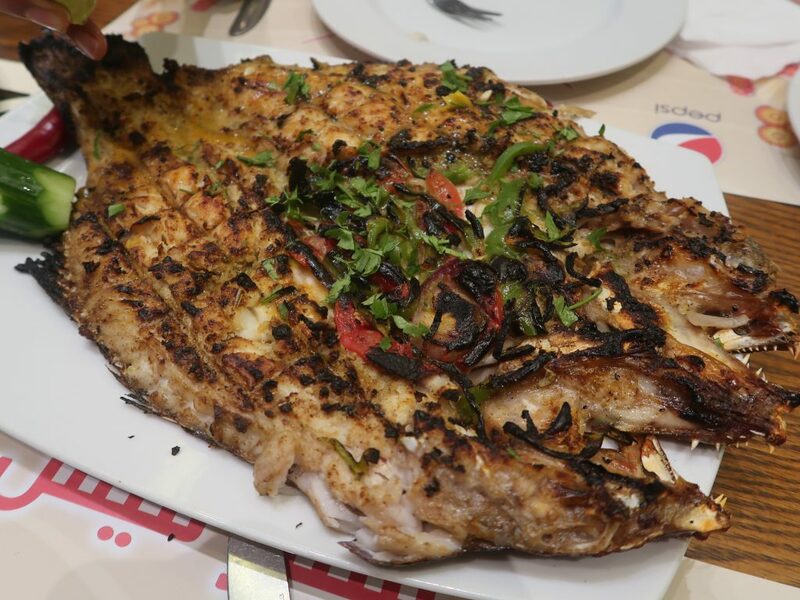 Starfish specialise in freshly caught seafood, either grilled or fried to order. It is simple but oh so tasty, especially with a twist of lemon on top. 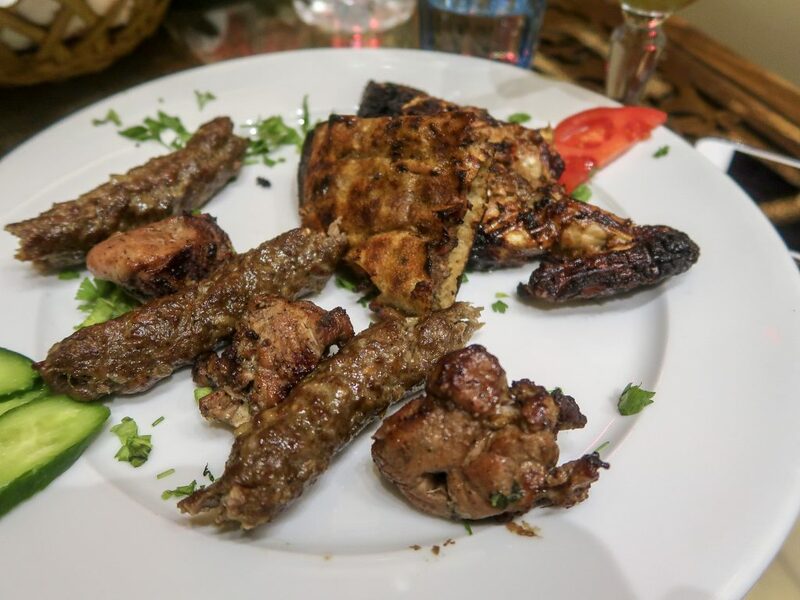 One that the locals recommended and although I was hesitant that this was a tourist trap at first, the mixed grills and stews blew us away. Guess you can’t judge a book by it’s cover! 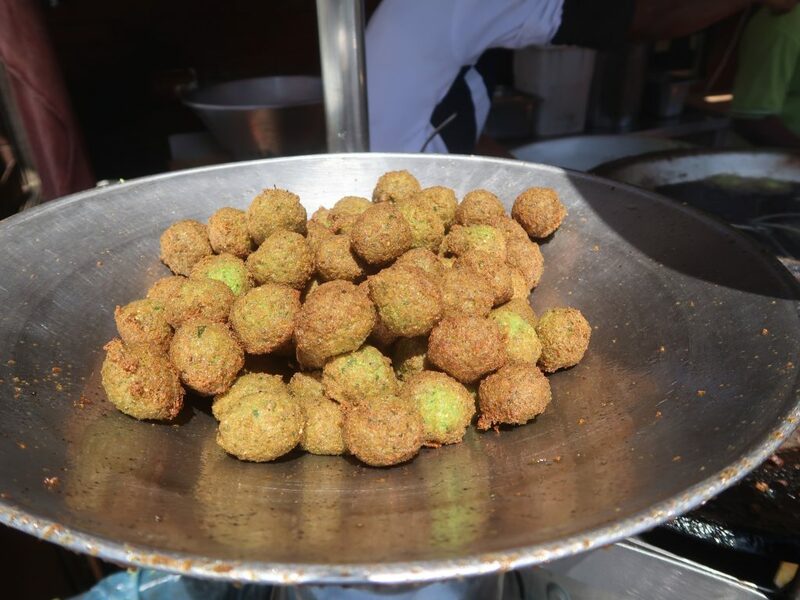 You’ll find a variety of goodies being cooked up here but you’ll want to try the cute and tiny freshly fried falafels that are oh so crunchy. 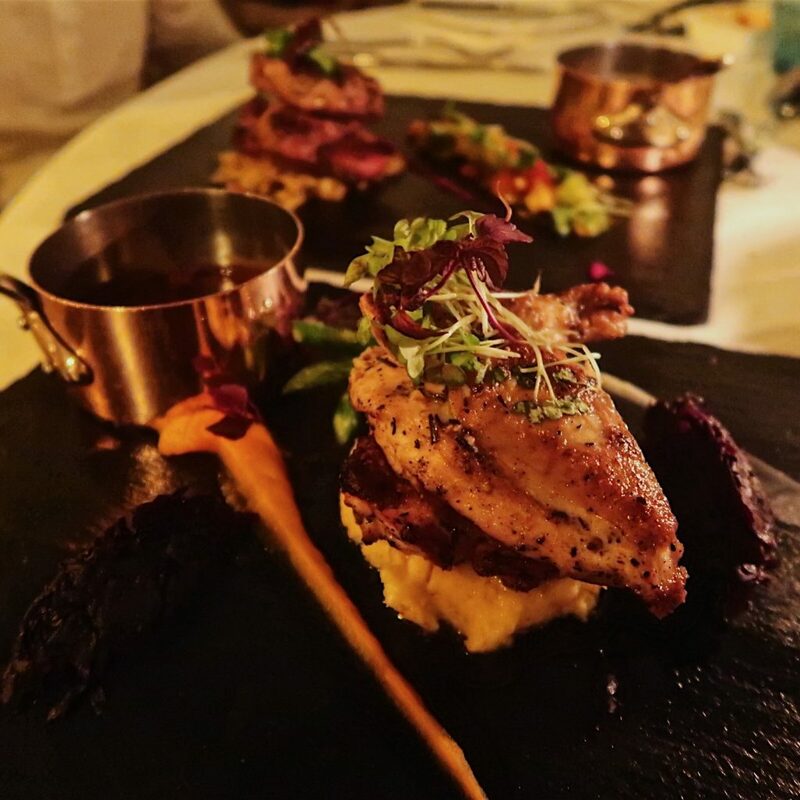 Having had bad experiences at numerous hotel restaurants, ‘The Restaurant’ at the Oberoi Sahl Hasheesh was fantastic and a breath of fresh air. BW had gone for the garlic and lime roast chicken, whilst I chose the pan roasted veal medallions, and both were exceptionally good with his just standing out that little bit more. The Zaafran restaurant at the Oberoi has guests coming from all over to enjoy it’s Indian delicacies. 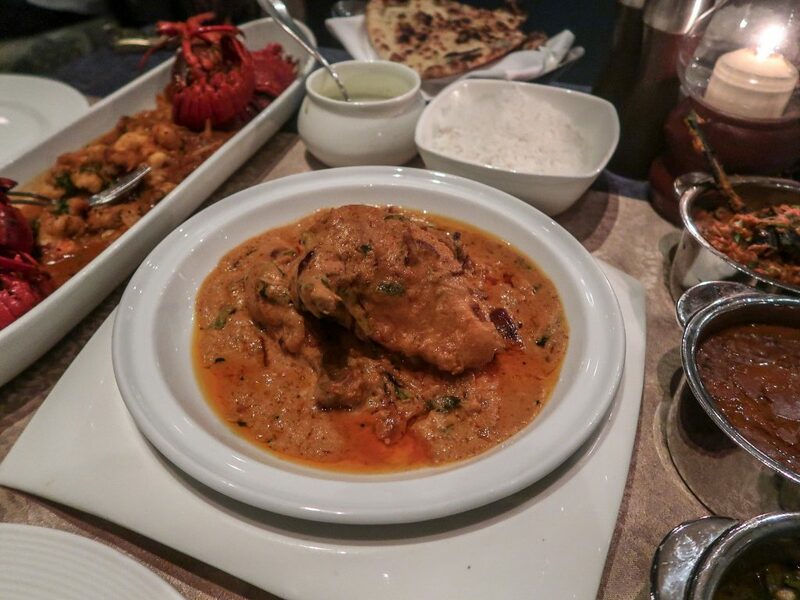 From the smoky chicken tikka to the aromatic seafood curry, Zaafran is almost on the same level as London’s finest Indian restaurants and worth a visit if you’re missing home food out there. And that’s a wrap – my last official holiday before the baby came was over and it was time to leave. I begrudgingly got into the car to the airport and waved goodbye to the beautiful hotel and definitely one of the best holidays I have had. 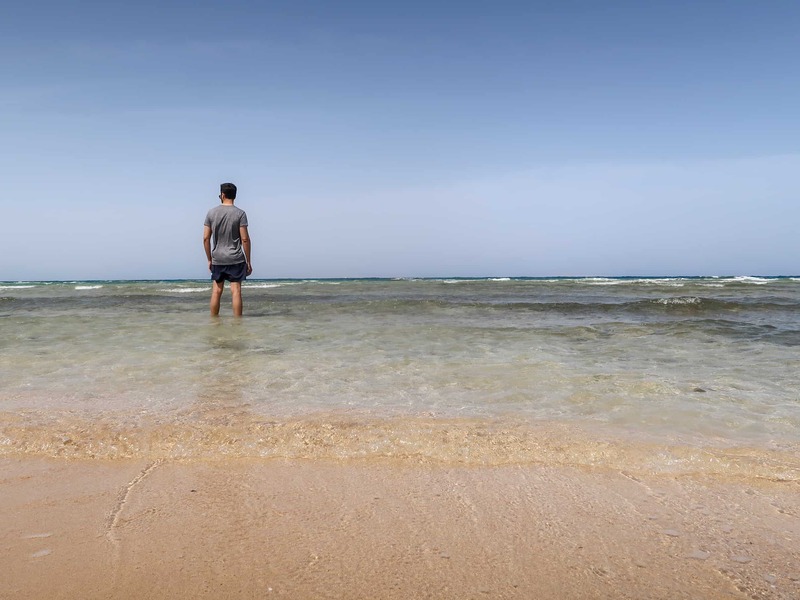 From the quaint town to the beautiful waters, Hurghada is certainly a hidden gem that deserves more attention and I cannot wait to bring back the little guy to The Oberoi Sahl Hasheesh for his first birthday! —> Make sure you negotiate the price of your taxi from the airport to the hotel. If your hotel is 5 minutes away, it should not cost more than £5. The drivers will shout and get angry, but do not give in! —> The best time to visit is May time just before the summer heatwave approaches. —> Find a local driver who is trustworthy and will take you around the town for peanuts. –> If you are pregnant and are showing, do not forget a doctor’s letter giving you permission to fly. I was almost left behind in Egypt as I did not have one!